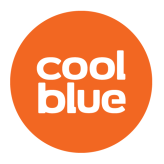 As an Advanced Data Analyst / Data Scientist you use the data of millions of visitors to help Coolblue act smarter. You’re going to be working as a true Data Scientist. One who understands why you get the results that you do and apply this information to other experiments. You’re able to use the right tools for every job. Your job starts with a problem and ends with you monitoring your own solution. You have to crawl underneath the foosball table when you lose a game. Your challenge in this sprint is improving the weekly sales forecasting models for the Christmas period. Your cross-validation strategy is ready, but before you can begin, you have to query the data from our systems and process them in a way that allows you to view the situation with clarity. First, you have a meeting with Matthias, who’s worked on this problem before. During your meeting, you conclude that Christmas has a non-linear effect on sales. That’s why you decide to experiment with a multiplicative XGBoost in addition to your Regularised-Regression model. You make a grid with various features and parameters for both models and analyze the effects of both approaches. You notice your Regression is overfitting, which means XGBoost isn’t performing and the forecast isn’t high enough, so you increase the regularization and appoint the Christmas features to XGBoost alone. Nice! You improved the precision of the Christmas forecast with an average of 2%. This will only yield results once the algorithm has been implemented, so you start thinking about how you want to implement this. You have at least 4 years of experience in a similar function. You have a university degree, MSC, or PHD in Mathematics, Computer Science, or Statistics. You have experience with Machine Learning techniques, such as Gradient Boosting, Random Forest, and Neutral Networks, and you have proven experience with successfully applying these (or similar) techniques in a business environment. You have some experience with Data mining, SQL, BigQuery, NoSQL, R, and monitoring. You're highly knowledgeable about Python. You have experience with Big Data technologies, such as Spark and Hadoop. A discount on all our products. A horizontal organisation in the broadest sense. You could just go and have a beer with the boss.